If you’re a jeans-and-a-tee kind of dresser, you'll like this straightforward combo of a black turtleneck and charcoal ripped skinny jeans. 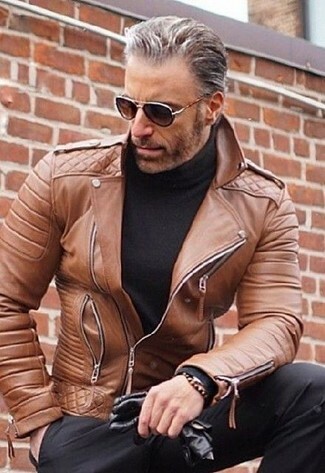 On the fence about how to complete this look? Wear a pair of black leather casual boots to kick it up. 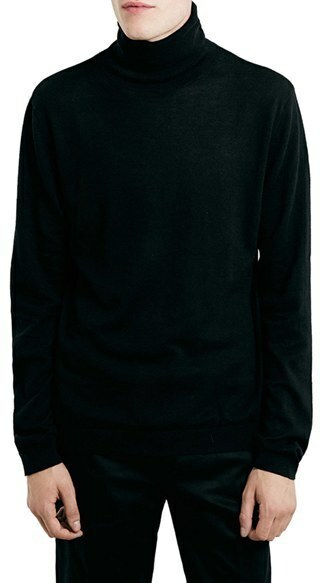 If you're scouting for a casual yet stylish getup, consider pairing a Topman turtleneck sweater with charcoal sweatpants. Both items are totally comfortable and will look great paired together. When it comes to shoes, this ensemble is finished off perfectly with white low top sneakers. 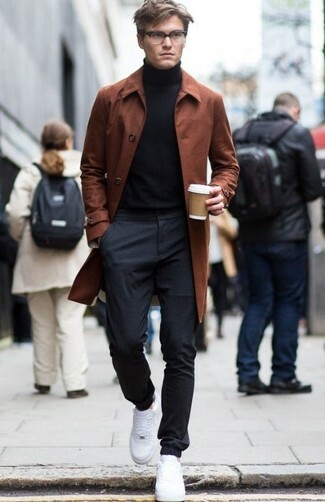 Marry a Topman turtleneck sweater from Nordstrom with charcoal dress pants like a true gent. Finish off with dark brown suede double monks and off you go looking awesome. 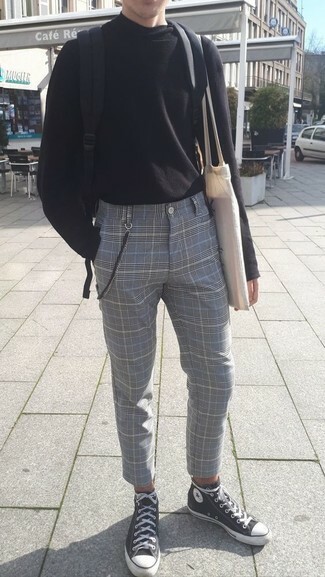 This combination of a Topman turtleneck sweater and grey plaid dress pants is super easy to make up without a second thought, helping you look stylish and ready for anything without spending a ton of time combing through your closet. For something more on the daring side to round off this getup, opt for a pair of black and white canvas high top sneakers. For a nothing less than incredibly stylish look, rock a Topman turtleneck sweater from Nordstrom with a grey wool suit. 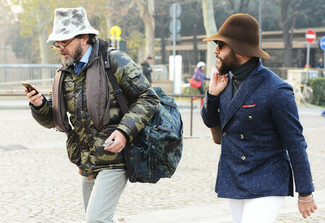 If you're in search of a casual yet dapper getup, pair a black turtleneck with light blue jeans. Both garments are totally comfortable and will look great paired together. 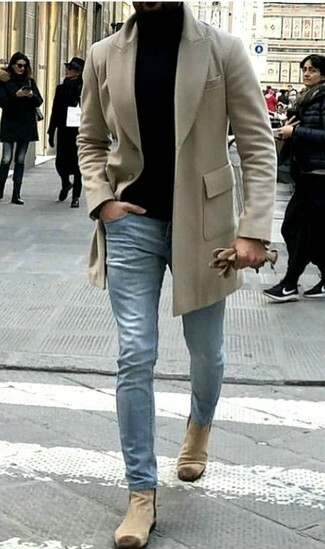 Channel your inner Ryan Gosling and throw in a pair of beige suede chelsea boots to class up your getup. 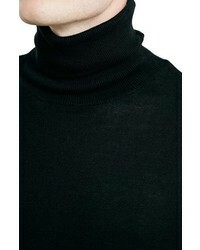 Choose a Topman turtleneck sweater and black dress pants for a sharp, fashionable look. For a casually elegant getup, wear a Topman turtleneck sweater with charcoal check wool dress pants — these items play pretty good together. When it comes to shoes, this look pairs nicely with black leather double monks. 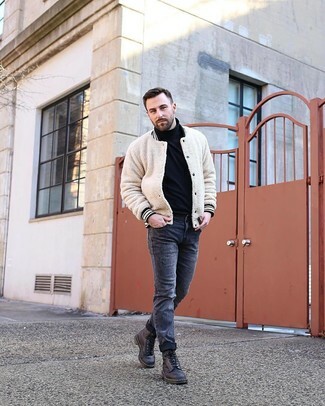 If you're after a casual yet seriously stylish look, try pairing a Topman turtleneck sweater from Nordstrom with white chinos. Both items are totally comfortable and will look great paired together.